What’s a Cult Lifestyle Brand, and How do You Create One? When the Apple Corporation gave its annual report in 2015, it had a whopping $178 billion in cash, or enough to buy the Ford, Tesla, and General Motors car companies and have more than $41 billion left over. Such is the power and worth of a so-called cult lifestyle brand. Here, we’ll look at what makes up a cult brand, and the characteristics that set the stage for your brand to obtain that coveted status. What is a Cult Brand, and Why is it Smart to Build One? They’re usually associated with social benefits, too . For example, Fender guitars are arguably not the most technically advanced instruments, but they nevertheless enjoy a cult following. Once people buy a guitar, they feel they’ve become part of a social club of other content like-minded customers, including some superstar players. Once you’ve built a strong cult brand it will continue to inspire brand loyalty provided you both carefully nurture it and your loyal customers. That loyalty is likely to persist even if you charge a premium or intentionally produce products or services in limited quantities with restricted access. Furthermore, in the event an untimely problem arises that momentarily blemishes the brand, its cult status will often be enough to carry it through those temporary low points. Brands with cult-like status tend to engender staunch customers willing to buy the brand again despite mishaps. Cult Brands Have Recognizable Strong Personality Traits: Although brands don’t necessarily have all the attributes humans do, the best share many qualities with humans. They are like humanized entities. You may resonate with one of your most beloved brands because it appears to exhibit sympathy, honesty, integrity and motivation, among other emotionally engaging human-like traits, qualities and values that are potentially important to you. Cult Brands Are Relatable: When a cult brand is relatable, it’s able to resonate with its target audience by encapsulating familiarities within everyday lives. A brand may be positioned so it’s optimally relatable via its packaging, customer service, employees, customer journey, brand collateral and even purchase receipts. Cult Brands Encompass Broad Ideals: Some brands reach cult status because they successfully convey an ideal or lifestyle its purchasers aspire to and want to be part of. Maybe the brand’s associated with warm hospitality, opulent luxury, a rugged, adventuresome lifestyle or a hunger for high-tech items that regularly challenge what we think is possible. By regularly purchasing items or services that represent what they aspire to having, buyers inch ever closer to their ultimate goals. Its what the beloved cult brand ‘stands for’ that its target audience identify, with and relate to as part of their own personal identity. Also, don’t walk into an Apple Store and expect to get your MP3 player checked at the technical support desk. Instead, stroll back to the Genius Bar where a specialist bearing the title of “genius” will examine your iPhone. The human brain responds instinctively to stories. We’ve shared stories since we lived in caves and learnt them as children on our parents’ knees. It’s how we make sense of the world. Your brand should develop and tell an engaging, memorable tale. When we’re working with our clients to create and develop memorable brand stories we use our Story Selling System™. Consider that most cult brands are able to successfully communicate which problems their products solve. Ideally, your story should not only be authentic and emotionally compelling, but prove how your product fills a demonstrated need. Cult brands are often excellent at providing a service or benefit to a far superior degree when compared to their competitors, and brands in other unrelated sectors for that matter. This is one of the reasons why it’s so crucial to understand what other brands in your industry are doing, and evaluate how you can reach beyond that point in a meaningful and feasible way. A brand audit is a very effective tool for uncovering this often hidden information. Your brand needs to be creating a customer experience in at least one very unique way that’s vastly superior to your nearest contenders. Regardless of how great whatever you’re offering is, your brand is highly unlikely to reach cult status if you consistently give customers the cold shoulder. Earlier, we talked about how people who follow cult brands may be more forgiving and willing to offer second chances. However, that’ll only happen if you have stellar customer service practices that make your customers feel like they’re genuinely worth your time and much appreciated for their business. Besides just offering great service, try to include customers in your creative or product or service development process, even if its just to get feedback from them. People love feeling like they’re part of something important and that their opinion matters. If you make it clear their thoughts matter, they’re more likely to be loyal for life. Although this tip can backfire in some markets, profits and consumer interest levels can grow when customers feel the product you’re offering is not easy to acquire. When buyers believe an item is in limited supply, they’re often more likely to try harder to get it. Now, let’s look at a few case studies of companies that have used various brand strategies to build their cult brands and make them thrive very profitably. SoulCycle is a brand of indoor cycling classes that’s beloved by celebrities, and some might say, a little overpriced. 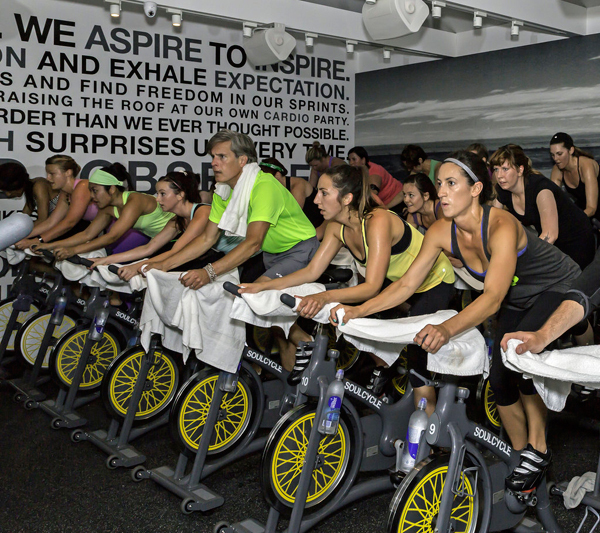 Class prices begin at $32 for 45 minutes of sweaty cycling. 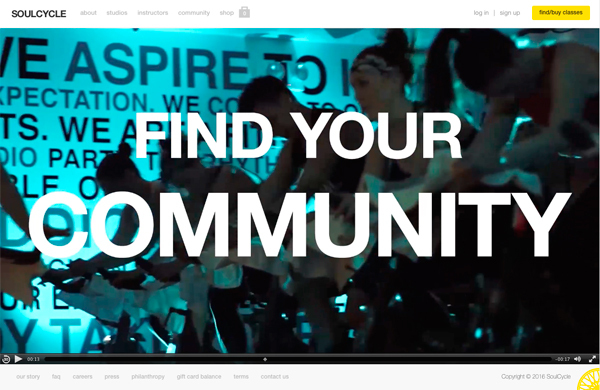 Yet, SoulCycle’s devotees don’t mind. Many of them cycle while wearing diamonds and Rolex watches. Being around people who are outfitted in the same way likely engenders feelings of even greater exclusivity. She took the helm in 2008 and began running with the bold strategy that the brand should no longer be dictated by corporate strategies. Instead, J. Crew would not associate with a product unless its team members truly embraced it. Furthermore, Lyons unified the company’s creative processes and gave employees more freedom to take risks. Ideas that don’t work well are quickly disposed of, leaving some to feel J. Crew is constantly in flux. However, rising profits and raving fans indicate the changes have resonated. Some of the brand’s YouTube videos have more than a million views. These two Canadian restaurants are run by a husband and wife team and have become some of the hottest eating establishments in Vancouver. A “No Reservation Rule” means people sometimes have to act fast to enjoy this beloved cuisine. Besides the tasty fare they offer, perhaps one of the reasons why the restaurants have such loyal followings is because their very creations represent an entrepreneurial dream many fantasize about. The restaurants were funded by a small loan from a family member, plus personal savings. 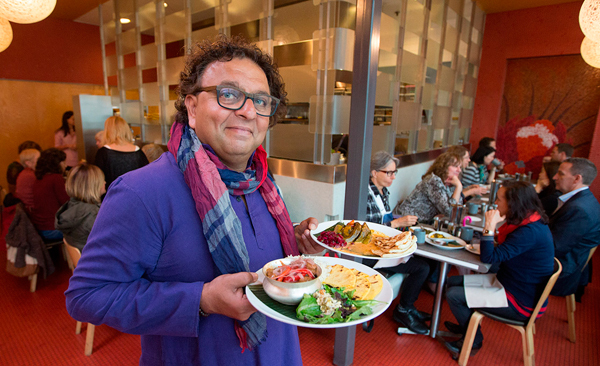 One member of the team is Vikram Vij, who’s originally from India. He was able to use talent, determination and dedication to help the restaurants prosper. 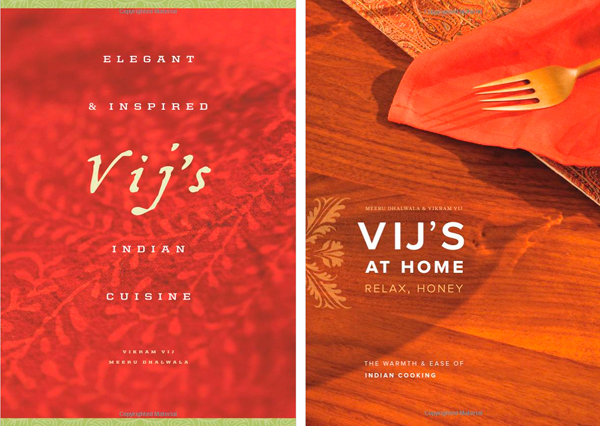 Vij and his wife Meeru have even written two acclaimed books. Clearly, there’s not a single path that leads an emerging brand to cult brand status. However, a combination of key factors, such as cultivating desirable brand characteristics, a skilled team with a visionary leader, unwavering focus with a clear strategic brand vision and an exclusivity or scarcity strategy can result in impressive outcomes. Can you identify one or more desirable personality traits your brand possesses that may help it reach cult status? What positive associations or lifestyles relate to your brand? Can you think of a situation where it may be detrimental or inappropriate to use a scarcity strategy? Which problems does your brand solve for consumers? In what ways do you think your brand makes others feel inspired? Could you combine a cult brand strategy with a rebranding initiative to increase your business success? Sam Colt, uk.businessnsider.com, “15 Mind-Blowing Facts About Apple’s Latest Quarter,” January 2015. Antonio Marazza, http://www.forbes.com, “A Survival Guide for Symbolic and Lifestyle Brands,” October 2013. Jessica Farris, http://www.printmag.com, “Branding Lifestyles: What Does Your Brand Represent?” September 2014. Dave Llorens, http://www.huffingtonpost.com, “8 Cult Lessons That Will Help You Build Your Brand,” December 2013. Vanessa Grigoriadis, http://www.vanityfair.com, “Riding High,” August 2012. Danielle Sacks, http://www.fastcompany.com, “How Jenna Lyons Transformed J.Crew Into a Cult Brand,” April 2013.
https://www.personadesign.ie/wp-content/uploads/2017/01/Persona-Design-Logo-512px-300x300.png 0 0 Lorraine Carter https://www.personadesign.ie/wp-content/uploads/2017/01/Persona-Design-Logo-512px-300x300.png Lorraine Carter2016-01-25 08:30:002016-05-22 15:06:08What’s a Cult Lifestyle Brand, and How do You Create One?